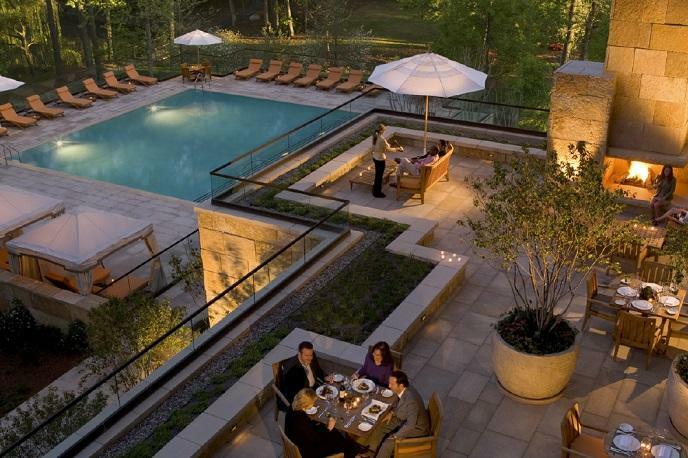 The Umstead Hotel and Spa: Named a Top 50 Hotel in the World by Condé Nast Traveler! Tucked into 12 acres of woodlands overlooking a private lake in Cary, N.C., a world-class getaway awaits—literally! As it turns out, a soothing spa, five-star cuisine, gracious staff and 150 spacious guest rooms and suites are a recipe for a big success. 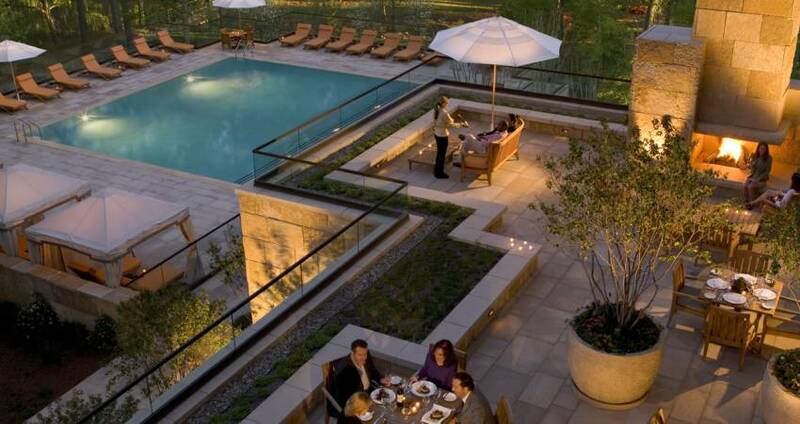 The Umstead Hotel and Spa—previously recognized by Forbes Travel Guide and AAA as a Five-Star and Five-Diamond property, respectively—has earned another major accolade. Condé Nast Traveler, announcing the results of its 30th annual Readers&apos; Choice Awards, ranked The Umstead Hotel and Spa as the No. 3 Best Hotel in the U.S. and the No. 40 Best Hotel in the World. More than 7,000 hotels located in 600 cities across the world were considered by readers of the publication. In the U.S., only New York City and Miami had properties ranked ahead of The Umstead. 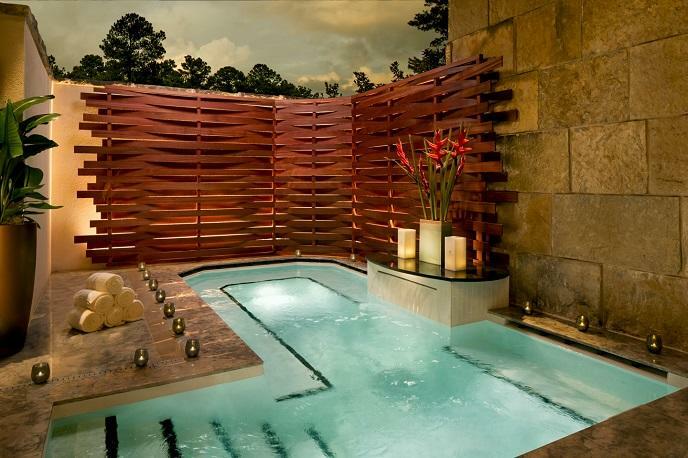 Opened in 2007 in a scenic location just a short drive from downtown Raleigh, The Umstead is often described as an "oasis" or a "retreat," combining natural beauty with stunning architecture and first-class service. "Next to Umstead State Park and ten minutes from Raleigh, the Umstead Hotel and Spa has 150 rooms furnished in golds and greens, ribbon windows from floor to ceiling and balconies with top-notch views," writes Condé Naste. "Our recommendation? Take lunch on the lakeside terrace at the hotel&apos;s signature Forbes Five-Star restaurant, Herons—the lobster roll comes on a buttery bun with house-made pickles and chips. The spa is the main event, though; take a deep breath in the outdoor meditation courtyard before settling in for a moisturizing buttermilk and honey wrap or a deep tissue massage." Herons—one of only 62 Forbes Five-Star restaurants in the country—is led by executive chef and James Beard Award semifinalist Steven Devereaux Greene. Open for breakfast, lunch, dinner and weekend brunch, the intimate 98-seat dining room features a full-view kitchen, original artwork and floor-to-ceiling windows with views to the outdoors. The seasonal-driven menu features vegetables and herbs from a dedicated, nearby farm. The bar and lounge area offers signature cocktails, a wine cellar stocked with selections from around the world and live music in the evenings. The spa—open to non-hotel guests Mon.-Thurs. (and hotel guests seven days a week)—is 16,000 square feet of relaxation and rejuvenation. Massage therapies, facial treatments, a sauna, steamroom, therapeutic whirlpool, outdoor current pool and meditation courtyard are the stars of the show. More than 10,000 square feet of indoor meeting and conference space—highlighted by a 4,000-square-foot ballroom overlooking the three-acre lake—provide an impressive setting for business meetings and off-site events. In addition to the ballroom, a 6,000-square-foot outdoor lawn, surrounded by tall trees and lake, make for a perfect backdrop for wedding ceremonies and receptions. 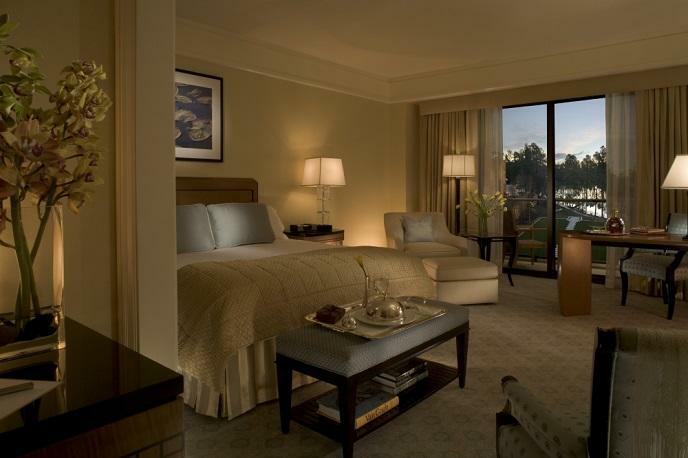 Ready to learn more about The Umstead Hotel and Spa? Contact our sales team today to find out more about how we work together to make your event a smashing succes!